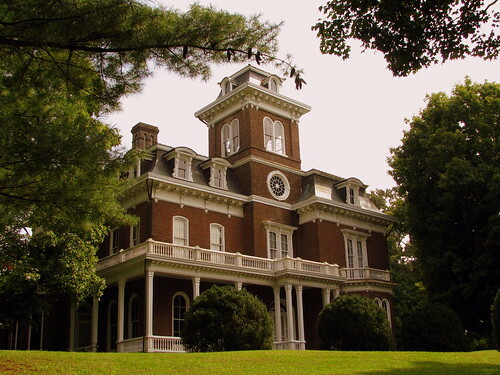 Located in Jefferson City, TN (In Jefferson County, the town used to be called Mossy Creek) the Glenmore Mansion was built in 1869 to be the home of John Roper Branner. John Branner died before the house was completed, and for a few years his brother Joseph ran the Branner Institute for Young Ladies here. In 1882, the home was sold to the Jarnagin family. 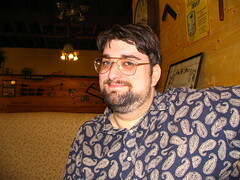 Glenmore was the name of Milton Jarnagin's first son, who died as a baby. In 1970, the mansion was aquired by a local historical preservation group. The mansion is located along the old Andrew Johnson Highway. The fine example of Victorian Architecture in a Second Empire style was added to the National Register of Historic Places in 1973. One of only 33 signs to be listed on the National Registor of Historic Places, this landmark was built in 1910 to divide Tennessee and Virginia. In 1915, it was moved to its current location along State Street. In 1921, "A Good Place to Live" was added to the sign. 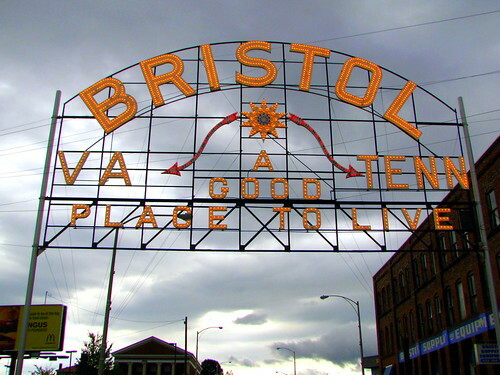 I suppose that's a sun or a starburst under the S in Bristol, plus the red arrows pointing to VA and TENN are chaser lights. at the boy scout building at the corner of Hillsboro (U.S. 431) and Woodmont Blvd in the Green Hills area of Nashville. I guess it's really a boy scout, but I used to think it was a state trooper catfish until I realized where it was. 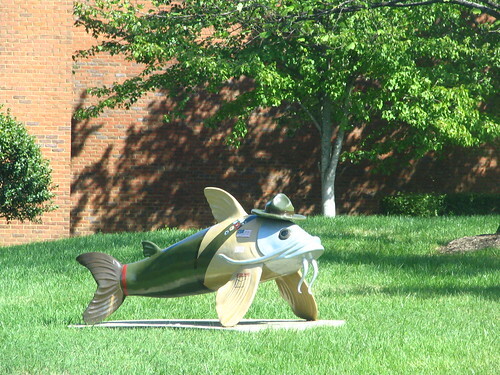 The catfish were all over downtown sometime around 2004, and it was almost a game to see how many you could find. After a few months, they were sold, and it would make sense this one ended here. Despite winning the PCL championship in 2005, and lots of talk about getting a new downtown ballpark which never happened, this is what the Nashville Sounds were known for nationally in 2006. 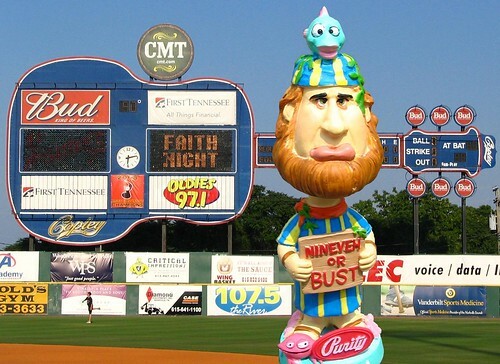 Their "Faith Night" games where the stadium giveaway is a bobblehead of a Bible Character. Jonah was given out at the June 16th game. 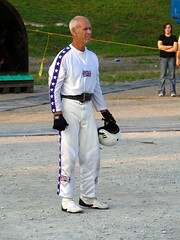 Purity Dairies, another Quintessential Nashville company, was the title sponsor. The first 2000 people through the gates got one. Characters in the past include Samson, Moses and Noah, with no plans to ever make a Jesus bobble. 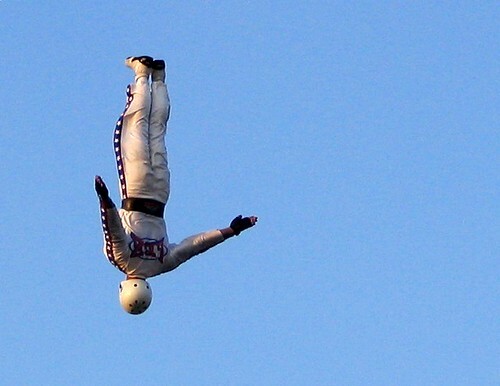 More info can be found in this NPR article. It looks like the Sounds have discontinued this idea for now. The only bobblehead giveaway in 2010 is former Sound Prince Fielder, who of course is not a Bible character. The longtime quintessential icon of minor league ball in the Music City is the large guitar-shaped scoreboard which has now been around for about 15 years. 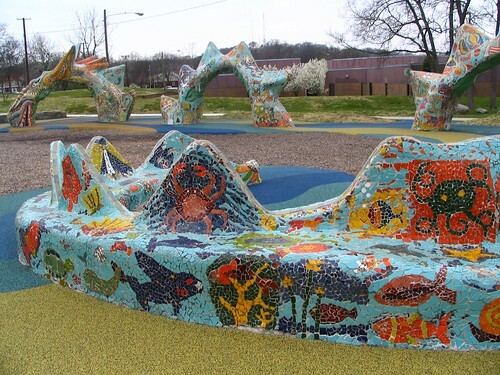 The park, also known as Fanny Mae Dees park, is located on the corner of Blakemore and 24th, near Vanderbilt and some grade schools. The dragon part of the playground was built in the late 70s, with art made from tiles by children from the nearby schools. The end of the tail is in the foreground and the head is in the top left. During the day, this area will be covered by children and at night will have couples on a date. I have heard that if the moon is right and you stand at the right spot, it will look like the dragon is breathing fire. 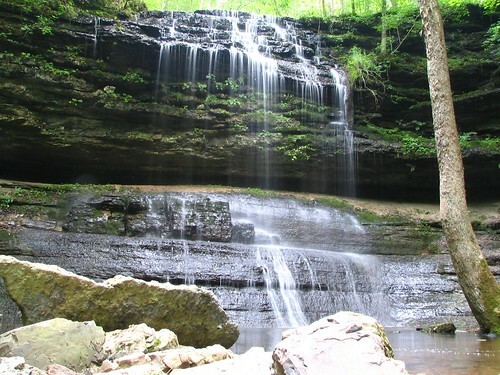 Stillhouse Hollow Falls is the newest desegnated Tennesee State Natural Area. 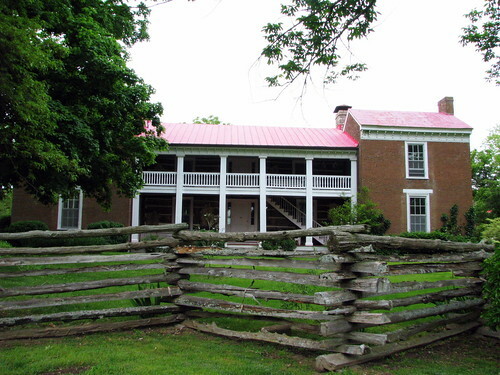 It is located in Maury County, Tn about 5 miles south of Mt. Pleasant on Highway US 43. Top to bottom, the falls are about 75 feet, with the top 15 feet as cascades. A few years ago, before the new highway 43 was built, there was another way to this waterfall, and another nature trail to get to the base, as well as the remains of an old house. Smoke comes out of the window looking like a US Flag in the shape of America. Rescue workers are on the scene to help, including a fireman and policeman with a ladder and a paramedic with an ambulance helping one rescued lady. 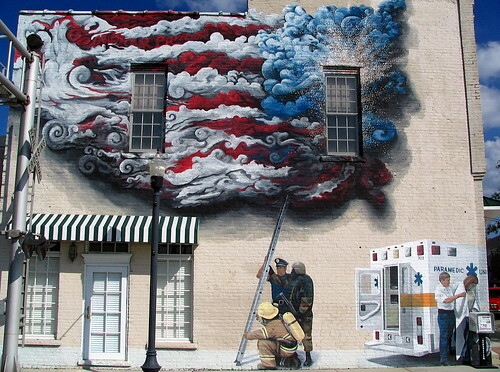 If you look at the 2nd red strip of smoke from the top, it says the name of the mural "God Bless Our Protectors". Also known as the Justice Adolphus A. Birch Building and before that it was the Beverly Briley Building. The New Courthouse, which is practically across the street from the old still-in-use courthouse, was completed in 2006, is 6 floors and 128 ' tall. 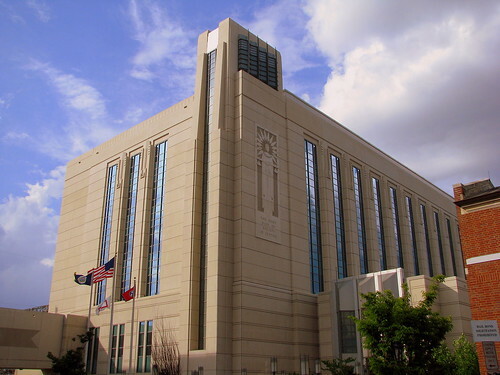 It was completed at a cost of just over $40 Million, has 16 courtrooms, a mixed-use jail, connects to the Ben West building on the right and has a sky-bridge over 2nd Ave. N. on the left which connects to the Criminal Justice Center. Beverly Briley was mayor of Nashville from 1963-75. Adolphus Birch was the first African-American to serve as Chief Justice of the Tennessee Supreme Court. There is another Sam Davis statue on the grounds of the Tennessee State Capitol and there's also the Sam Davis Mansion in Smyrna, TN. 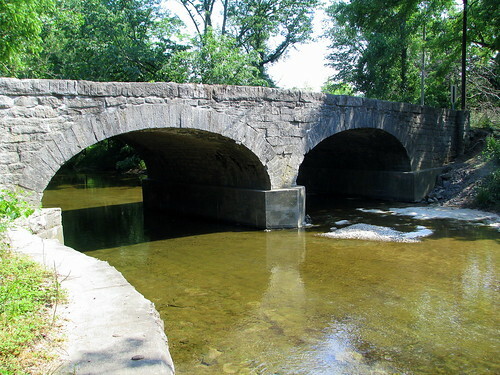 This dual arch stone bridge crosses Mansker's Creek in Goodlettsville, TN, just north of Nashville. It was part of the stagecoach road that connected Nashville to Louisville. I'm not sure when the bridge was built (somewhere between 1837-49), but the stagecoach line became obsolete when the railroad was completed in 1859, so it's older than that. Many parts of that old road are now US Highway 31W, and today's 31W (Dickerson Pk.) runs a few feet from this bridge. 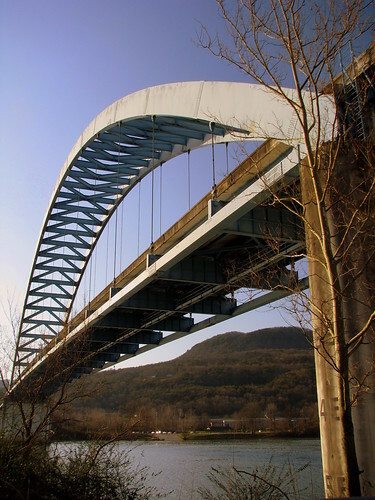 This bridge is also on the National Register of Historic Places. 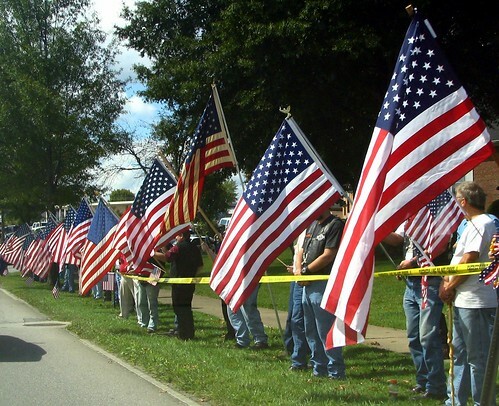 Taken in 2006, Bradley County residents lined Ocoee street in Cleveland, TN to show their support of Sgt. David Weir, who had been recently killed in Iraq. These flag wavers lined the street an hour early to see the funeral motorcade of the slain soldier. One of the reasons for the turnout here was to counter a small but high-profile anti-military protest group which came from out of state. I just happened to be passing through when I saw this, as I was touring US Highway 11 in East Tennessee. Much of this stretch of US11 is the old Lee Hwy, which connected Chattanooga and Knoxville. I am continually thankful for our brave soldiers who risk their lives to defend our freedom! 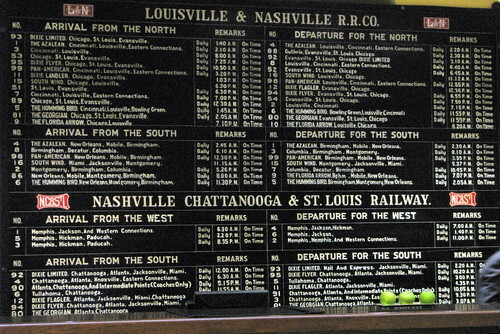 Inside the lobby of Nashville's Union Station, behind the front desk, is this chart showing all of the train schedules. It is held over from the days that the station was a thriving train depot. It shows many departures and arivals, North and South, and both companies which serviced the area, L&N and NC&StL. On the marble counter-top are three apples. This side is actually the back but it's also the sunny side and not on a busy street, so this is the side photographed more often. You never know when a vintage sign is going to be taken down. I saw this sign a little over a year ago. All indications that a motel was here were already gone. About a month later, I wanted to get a better picture of the place since that day was a sunny day, and the sign was removed. Beersheba Springs used to be a resort town in Tennessee's Cumberland Mountains in Grundy County. While there, the place to stay used to be the Beersheba Springs Hotel. This is the view from the observation deck from the hotel at dusk. It hasn't been open as a hotel for many decades and is now owned by an organization of the United Methodist Church. After returning home from World War I, Sgt. Alvin York in the late 1920's raised the funds to establish a school for the boys and girls in Fentress County. 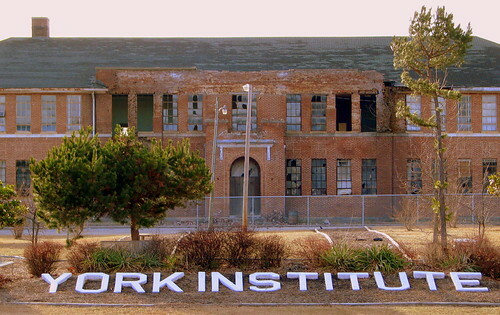 As the building started to deteriorate, a newer adjacent building was opened, and the original building has been abandoned since 1980. 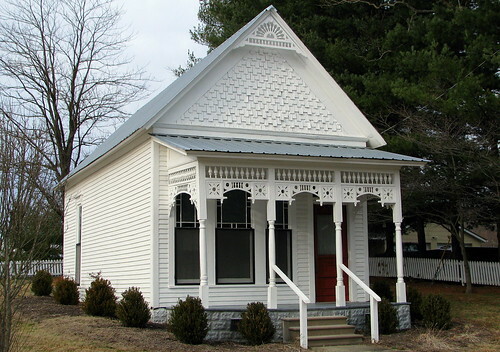 In 2005, the Tennessee Historic Preservation trust listed this building, which is also on the National Register of Historic Places, as one of the most endangered historic sites in the state. It was scheduled for demolition in early 2008, but instead the Sgt. York Patriotic Foundation negotiated to take over the building in an effort to Preserve the building. 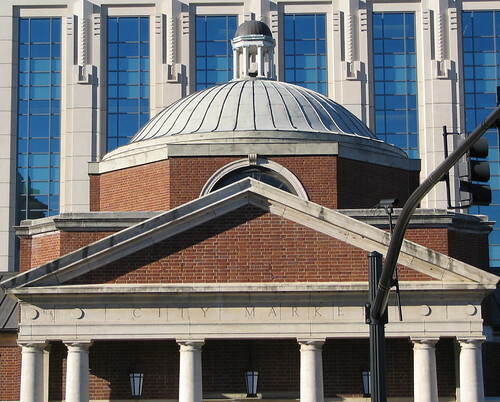 This building was built as the City Market in 1922, which remained there until the Farmers Market opened up where the Bicentennial Mall is Today, then it became the Ben West building functioning as city hall. 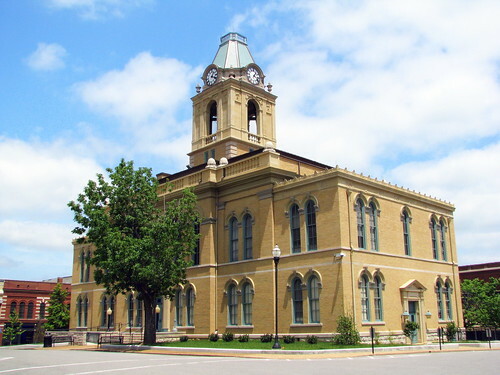 Now, among other things, it is used as law enforcement offices with the old courthouse across the street and the new courthouse in the background. Of architectural significance is the Dome on top with a monopteron and the portico main entrance. Another important Nashville building with a dome are the Social-religious building of the Peabody campus. I would like this view so much more if it weren't for the traffic light. Located near the heart of Columbia, TN on 301 West 7th St. (U.S. 412). This house was built ca. 1816 by Samuel Polk, father of President Polk. 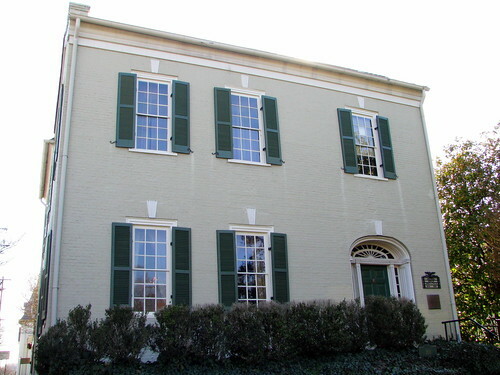 President Polk lived here from 1818 until 1824 and is the only residence of his (other than the White House) still in existence. 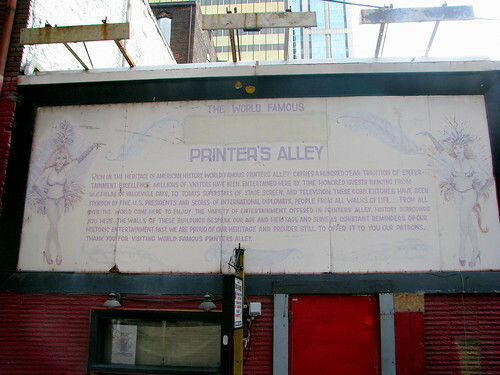 This is a National Historic Landmark. Also is listed on the National Register of Historic Places. This picture is a closeup of the sign to the right of the front door. 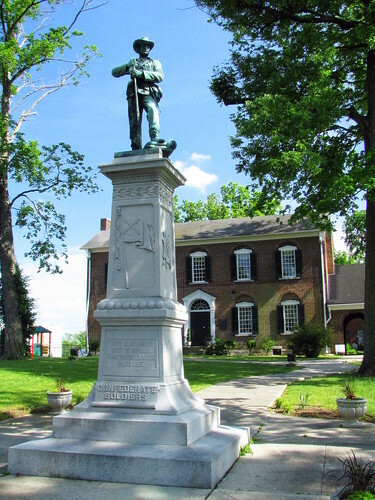 Sumner County supplied the Confederate States Army with approximately 3,000 soldiers. To memorialize the owner, Gov. 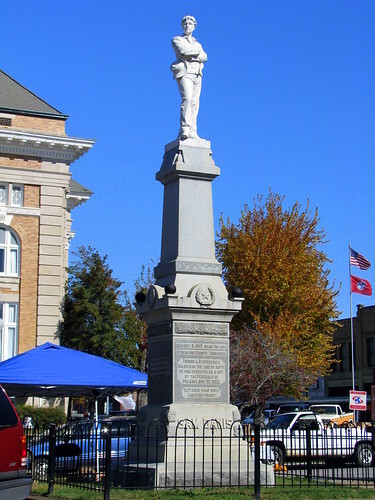 William Trousdale’s military history and the service of approximately 3,000 Confederate soldiers from Sumner County, a monument was erected on the front lawn of Trousdale Place on September 19, 1903. 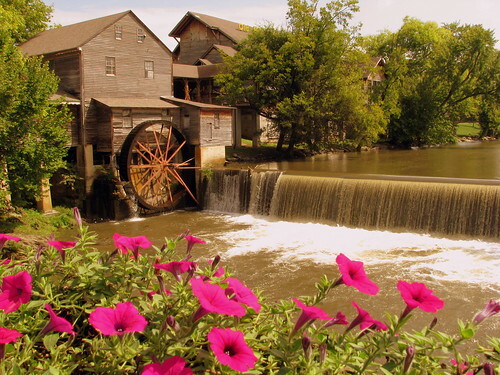 In the early 1800s, this gristmill was built on the Little Pigeon river in what was then a small mountain community of Pigeon Forge. The mill, which was built to make meal and flour for the locals still does that today. The Old Mill even furnished electricity for the town until 1935. In 1830, William Love dammed the Little Pigeon and started construction on the mill usung 40' long yellow Poplar logs. I first heard about this on the Roadside America website and the first thought that crossed my mind was if it fell on Daniels like something you'd see in the cartoons. In reality, Jack Daniels was in his office and couldn't get the safe open. In a fit of rage, he kicked the safe, and ended up breaking his toe. Like a typical guy, he didn't want to see a doctor for this, and put it off until it became infected. He had gangrene, which caused his toe to be amputated, then his foot, then his leg, and eventually it claimed his life. 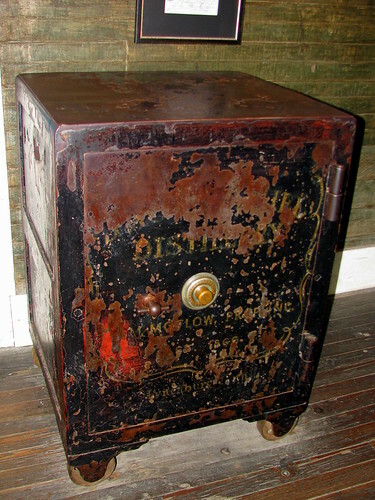 As they say, it wasn't a woman (Daniels was never married) or whiskey that killed him, but a safe. It wasn't whiskey of women that killed Jack Daniels. Instead it was gangrene that he got from kicking his safe (which we will see tomorrow). Nobody's sure why the chairs are here. 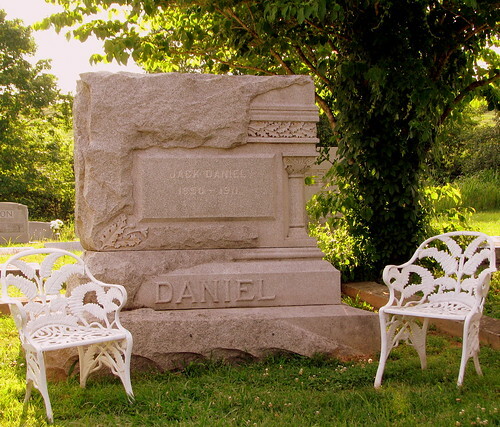 Some say it was for the women who mourn the passing of one of Lynchburg's most eligible bachelors and others say they're for the men who sit and take in Jack's spirit. Located in the Lynchburg, TN graveyard. 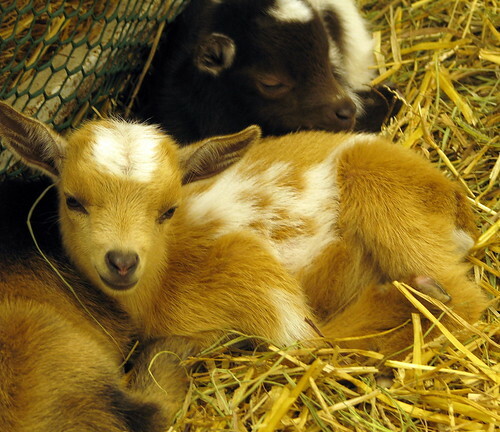 "Kid" as in 5-day-old baby goat. One thing I like about barnyard animals is they sleep in piles and use each other as pillows. I guess that is learned early. If you think this is cute, watch the video I posted on youtube of what this fella was doing 30 minutes earlier. Used to be located on Main St. just a couple of blocks from the town square, so when I went walking around, I couldn't find it. It has been relocated to where he used to have a house a few blocks away. It's now on the property of Livingston Academy. Home of U.S. Revolution Army Captain Tilman Dixon in the late 18th century. The log cabin portion of the center of the historic house also served as the Smith County courthouse starting in Nov. 1799 before the county seat moved to Carthage. If you look at the picture at the large size, you can see the logs in the center portion of the house. The small town was known as Dixon Springs, TN. 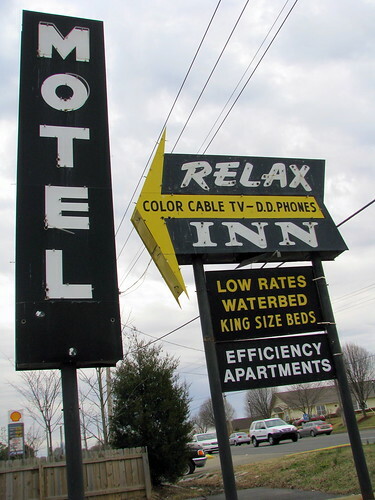 Located on highway TN25. I make the drive to Chattanooga a couple of times a year, and I missed this barn multiple times before I finally got a shot of it. (This is my second time to get a picture of it!) There is an Old School See Rock City Birdhouse shaped billboard up the hill which you can see from a mile away and is in the upper right corner of this picture if you haven't noticed it yet. 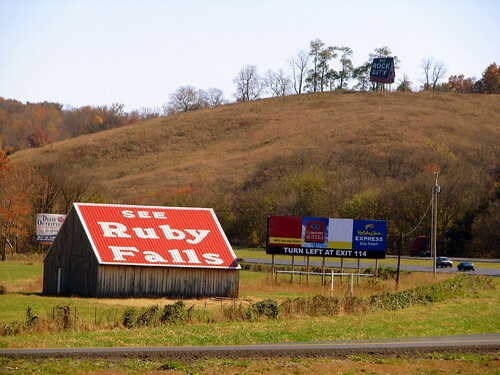 If I wasn't driving, I used to always pay attention to that and mss the Ruby Falls barn after it was too late. 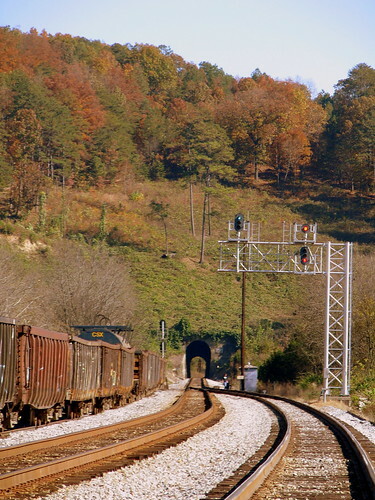 The mountains of northwest Georgia were the biggest obsticle to connect a train line from Chattanooga to Atlanta in the earliest days of the railroad. 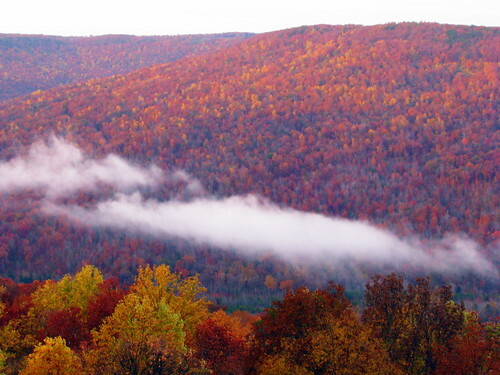 The most formidable challenge was the Chetoogetta Mountain in Whitfield County. The first tunnel at this location was completed in 1850 with a tunnel of 1477 feet. Eventually, it became insufficient and a second tunnel was built in 1928. That second tunnel is the one that lines up in this image with a length of 1527 feet. The second tunnel parallels the original tunnel which is to the right and you can walk through today.